As much as putting Resident Evil 7 on this list surprised me, at least I knew what that game was before it came out. Steamworld Dig 2 came out of left field for me, and I am stunned by how head-over-heels I am for this game. I bought this game because it was getting solid reviews at a time when there weren’t that many Switch games coming out at the time, and I needed something to play. It’s turned out to be a gem of a game that I’ve played through twice, which is not something I can say about any other game on this list. Steamworld Dig 2 is a 2D platforming adventure game in the vein of Super Metroid. Instead of a plasma rifle though, your character (Dorothy) is armed with a pick ax as her primary weapon. You’ll receive other items such as a hook shot and jet pack as the game progresses, but your pick ax is the main event. As the title implies, you spend much of the game digging through the world, burrowing further and further underground to find more treasure and advance the storyline. The real winner for Dig 2 is its gameplay loop. When you go underground, you take a lantern to light your way. This lantern has fuel and it will run out in a few minutes, requiring you to return to the surface to refuel and sell your gems you collected on this run into the mines. Gems turn into cash that you can use to upgrade your gear, including the lantern, so you can venture deeper and longer than before. This loop of dig, collect, return to the surface, sell, upgrade, and repeat is what makes this game addictive. Similar to how a game like Civilization is known for creating that “just one more turn” mentality until you’re playing until 3 in the morning and wondering where the time went, Steamworld Dig 2 makes it incredibly hard for you to want to stop playing. Each adventure into the mines reveals something new, and that feeling is addictive. This is the shortest game on my list, as I was able to beat it in just under 6 hours, but those 6 hours were some of the tightest gameplay I’ve had all year. If you have limited time and you’re looking for a game that is easy to pick up and play and be rewarded for even short play sessions, this is the best game of the year. For me, I want a little more from my top games, which the next 2 games deliver in spades. 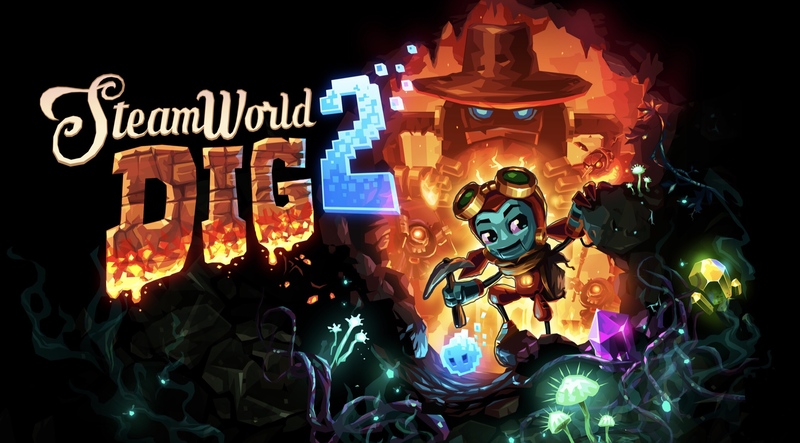 Steamworld Dig 2 is available on Switch, PS4/Vita, and Mac/PC. You can also read about my 4th and 5th favorite games.